What is a better way to show someone that you care than to give a gift certificate for glare and screen protection? It is a great gift, especially when you’re not sure about the size of the screen or the manufacturer and model number of the device. NuShield makes gift giving an easy process. With just click you can create a gift certificate in any denomination and the recipient can use it to purchase NuShield films, Klear Screen wipes and other accessories that NuShield offers. Enter Amount: Any amount between $1.00 and $100.00. Recipient Email: The gift certificate code is e-mailed to this email address that will contain a code. This code needs to be entered in our web store when the gift certificate is used. To: Name of person receiving the gift certificate. Message (optional): Enter a message for the gift certificate recipient. The codes on orders for Gift Certificates will be e-mailed within a few minutes after the order is approved. 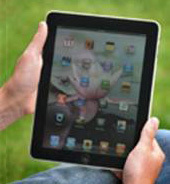 Gift Certificates must be redeemed at our website at NuShield.com. Purchases are deducted from the Gift Certificates balance. Any unused balance will be available for future use. If an order exceeds the amount available from the Gift Certificate, the balance must be paid with a credit card or other available payment method. 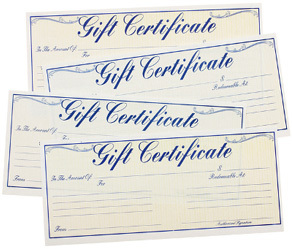 Gift Certificates cannot be used to buy other Gift Certificates. Gift Certificates cannot be redeemed for cash. Unused Gift Certificate balances may not be transferred. 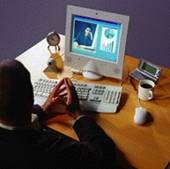 The risk of loss and title of Gift Certificates pass to the purchaser upon electronic transmission to the purchaser, recipient, whichever is applicable. We are not responsible if a gift Certificate is lost, stolen, destroyed or used without your permission. NuShield, Inc. will have the right to close customer accounts and request alternative forms of payment if a fraudulently obtained Gift Certificate is redeemed and/or used to make purchases from NuShield.com.